Milkman Dead was born shortly after a neighborhood eccentric hurled himself off a rooftop in a vain attempt at flight. For the rest of his life he, too, will be trying to fly. 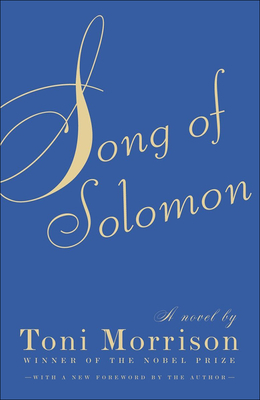 With this brilliantly imagined novel, Toni Morrison transfigures the coming-of-age story as audaciously as Saul Bellow or Gabriel Garci a Ma rquez. As she follows Milkman from his rustbelt city to the place of his family's origins, Morrison introduces an entire cast of strivers and seeresses, liars and assassins, the inhabitants of a fully realized black world.